Desirable First Floor Master in this beautiful home - much larger than it appears from the road - you must see the INSIDE! 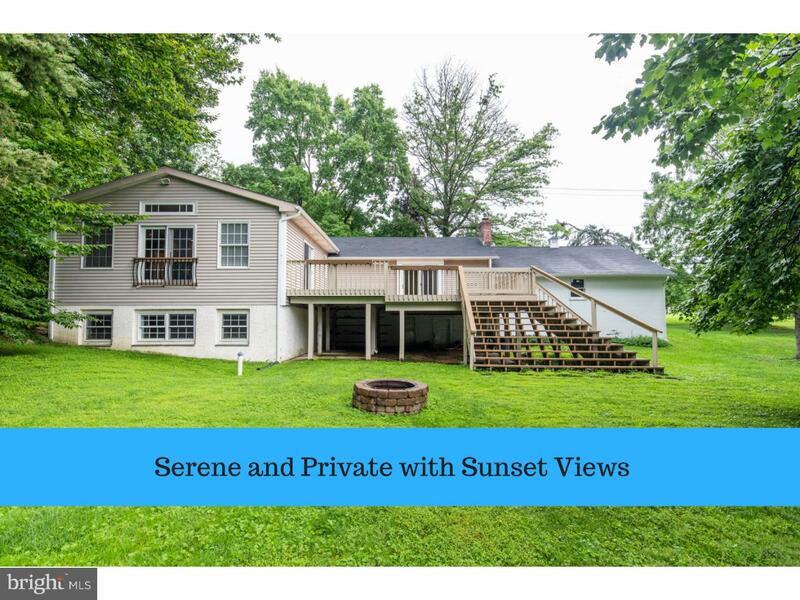 A large addition on the rear includes a huge master suite with vaulted ceiling, extra-large deck, and lower level bedroom with full bath and large windows. Enter into a foyer from the circular drive to the remodeled eat in kitchen with bay window. Refinished hardwood flooring and neutral paint make this home move in ready. Living room has a fireplace with built in shelving. Hall bath is remodeled and has tub. Master suite has windows everywhere, with whirlpool tub and separate shower, plus walk in closet with built in shelves as well as a separate office/sitting area. The master bedroom has French doors to the deck and a second set of doors with a view of the neighboring pond and sunsets. Sitting on the deck feels though you have escaped to a private mountain home. Two car garage is large and convenient off kitchen. Close to every main highway. Shopping galore and restaurants for every taste are minutes away. This property includes a second tax parcel of 33-04G-0369.0000 bringing the total lot size for sale to 1.20 acres. Taxes for this parcel are additional. Addition has central A/C and gas heat. Original portion of home has oil heat only, blowers use addition A/C for cooling. All Inspection Reports Available. Sewer is Public.